Home › Archive by category "high pressure cleaning adelaide"
Before delving deep into the topic, let us all get familiar with the concept of a pressure washer. In its basic sense, a pressure washer is a mechanical sprayer that uses high pressure to remove debris and other obstructions from the rooftop. It is preferred by many because it brightens and cleans the roof thoroughly giving it a new and shiny look. Though some have high reservation against the use of these machines, if and when used by experts, the result can be pretty satisfying. The key is to use the correct pressure, for excessive force can decrease the life expectancy of the tiles and slates of the roof. Hence, here is list of the different kinds of roofs and the method of using washers on them without harming them in the process. When was the last time you got your driveway pressure cleaned? Casual cleaning of your concrete driveway isn’t going to help. Not especially if you can’t even remember the last time you cleaned it. Over the time the dust particles and dirt settle on the concrete, forming a layer that doesn’t easily come off with light scrub. You have two options here—to either install new driveway or get it pressure cleaned. While the former one will punch a big hole in your pocket, the later one is much easier, quicker and cost-effective. Replacing roof is costly and can leave a big hole in your pockets. The best (and easiest) way to save this cost is not to get your roof replaced in the first place. There are few simple and cost-effective ways to extend the longevity of your roof and overlap the needs to get it replaced anytime soon. Do you know what’s better than getting your leaking roof repaired? Not having that leakage in the first place. They say prevention is better than cure. However few really apply that today; and fewer when it comes to maintaining their roofs. For many house-owners, there’s no need to get their roof checked by professionals, as long as there are no multiple holes up there that could fill buckets within minutes. Three Types Of Pressure Washers That Are Used By The Professionals! Whether you have been using or not using the high pressure cleaning services, you must be aware of its function, in case you require it. Be it your driveway, patio or roof, pressure washing is suitable for all the concrete areas. It cleans all the dirt, mud and stains from the surface and restores the original appearance of the floor. High pressure cleaning services Adelaide are easily available with some agencies and can be quite cost effective. Here is what you need to know about pressure washers that the professionals work with. These ones generate pressure below 2000 PSI and have the power of 100 bars. The high pressure cleaning services Adelaide use these pressure washers to clean the cars, trucks, bicycles, patio and garden furniture that need lighter pressure. Those with a power of 110 bars are called medium duty pressure washer. These jet sprays usually generate between 2000 to 2800 PSI. They don’t differ much from the light duty ones but can be used for decks, patios, fences and sidewalks. These pressure washers produce 2900 t0 3000 PSI and work best for a variety of pressure cleaning jobs. Starting from small areas such as patio, decks and sidewalks to the large areas like driveways and roof. These pressure washers have three parts. These are comprised of a petrol engine or electric motor, a hose that is connected to the motor and a nozzle with a trigger switch. The high pressure cleaning in Adelaide is done either by electric pressure washers or gas washers. 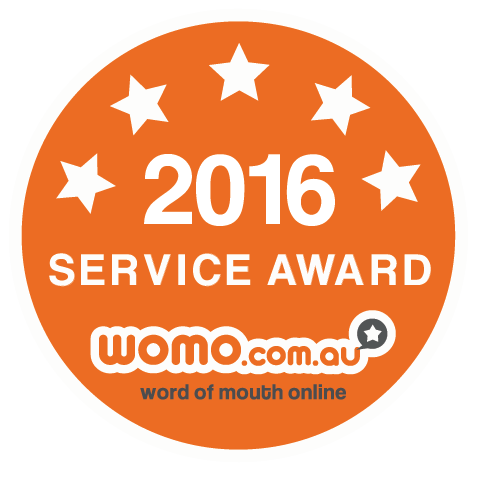 The roof maintenance companies in Adelaide also use pressure cleaning method to offer their customers the best and most affordable services. The pressure washing method also has many benefits as they help prevent damages and protect the roof and other concrete spaces. There is a conception that pressure cleaning your roof is not safe , and causes a of damage to the roof shingles and tiles. Though this might be true , but still experts have been recommending this process so that one can add years to the roof , and also give it a healthy and radiant appearance easily. This way the gutters are cleaned out effectively , and hence your home is left neat and tidy. Not only this, this washing method also promises on a very clean look, and enables smooth operation for repairing, repainting, or for giving your roof the best and most fresh look. Thus , a lot of tips and tricks have to be kept in mind to get the right pressure cleaning Adelaide company , who would use pressure washers with high psi velocity to remove every moss, dirt , dust and other waste accumulations on the roof surface without any hassle, and also promise you with no damage on being caused to the quality of the roof material. May be using the more pressure at the highest setting gives the fastest results , and helps in cleaning the dirt easily, but also this might cause breakage of the shingles. Thus it is advisable to the roof restoration companies to make sure to avoid using the pressure water at its highest setting, as this will just remove the moss and algae or other dirt , and wouldn’t cause any damage or breakage and leakage to the tiles or leakage. Pressure washing is a method which has to be done very carefully, and hence use the power washer carefully so that water doesn’t flow under your roof shingles. Make sure to use the right angle, so that water downwards towards the edge of the roof. When pointed downward , it wont cause any leakage on the roof surface. While washing them with so much pressure and psi velocity, be very careful about walking on them. Make sure to not step on the shingles, and rather step only on the support beams or rafters of the roof, and to avoid breaking the shingles while cleaning roof shingles, ensure to step lightly to avoid. The washer the restoration company would be using must be very good , and technologically advanced , so that it benefits the roof of yours with great washing and clean it completely. They might use chlorine , or just water with some chemicals. No matter what they use, the washer should be of good brand, and shouldn’t cause any damage to your roof shingles. You need to make sure that some stains and sports are too strong , and some dirt is impossible to remove. Hence , make sure to know about the limits of the machine you are using , and do not insert too much pressure , which might affect the roof shingles adversely. 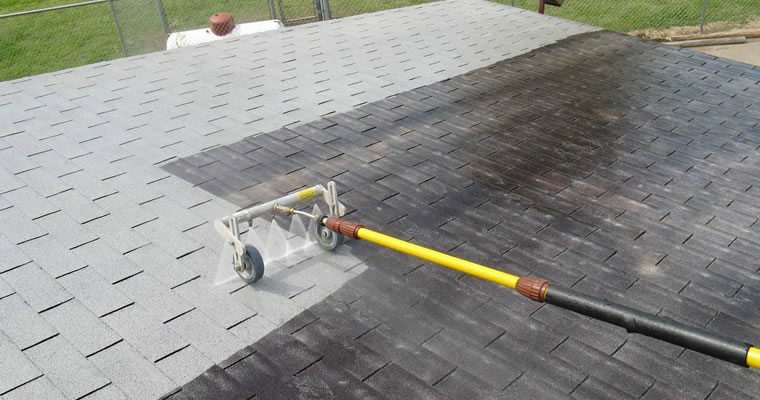 Pressure washing of the roof is something which includes a lot of risk, and hence , you must bank on the leading driveway pressure cleaning Adelaide company, and be away from the hassle, getting professional results. Protecting the value and standard of your property is probably one of the most important things to do, and this matters a lot to get the best living atmosphere. Other than looking after the interior details of maintenance and decoration, the other crucial thing is to take care of the house exteriors, from the walls to the roofs. Roof being the most vulnerable part of the house requires, rather demands extra care and this must start with time to time roof cleaning and restoration. For this, there are a number of renowned best roof restoration Adelaide companies, who through cutting -edge technology and great manpower , help to give your roof the best look . Due to the leading roof restoration companies, homeowners no more need to climb up the ladders and do the scrubbing and washing parts themselves. To improve the overall aesthetic of the house, the roof cleaners have the advanced and unmatched expertise to give you the best results in . Wondering what could be the benefits of these roof cleaning methods? Here are a few to take a note of. The most important benefit of roof cleaning and restoration by any experience company is the fact that it increases the value and appeal of the overall house. Playing an important part in the appearance of home, and thus cleaning and reviving it from time to time increases the curb appeal, and helps to maintain its attractive stature. Thus, this uplifts the value of the home, its resale capabilities , as a roof full of debris, dirt , algae and moss would have a poor effect on the one you would like to sell the home to in future. The algae which grows on the shingles of the roofs gives way to retaining heat every now and then , in turn increasing the temperature of your home interior and thus making it very uncomfortable for people to reside in. This again makes the homeowners to make their cooling system work longer and harder , giving way to high electricity bill and reducing the lifespan of the fan and air conditioners of the home. Thus , with time to time cleaning and restoration, you can actually keep your electricity bills constant. The moist damp and hot environment created by algae and moss inside the house , and the dirty layers of other organisms eat away the shingles s lowly. Also, apart from them the moisture and heat trapped in between the layers of the roof also causes the roof to decay in quality , and thus decreases the life span of the roof, forcing you to spend more money in completely replacing the old roof with a new one. But with roof restoration, you can actually increase the life span of the roof and cut of the cost of replacing it with a completely new one. The heat and moisture with algae , moss and other bacteria trapped into the layers of the roof give way to the generation of heat and moisture which causes harmful allergic reaction to children and pets. Thus, apart from eating the quality of your roof, these toxic materials also causes serious health issues. 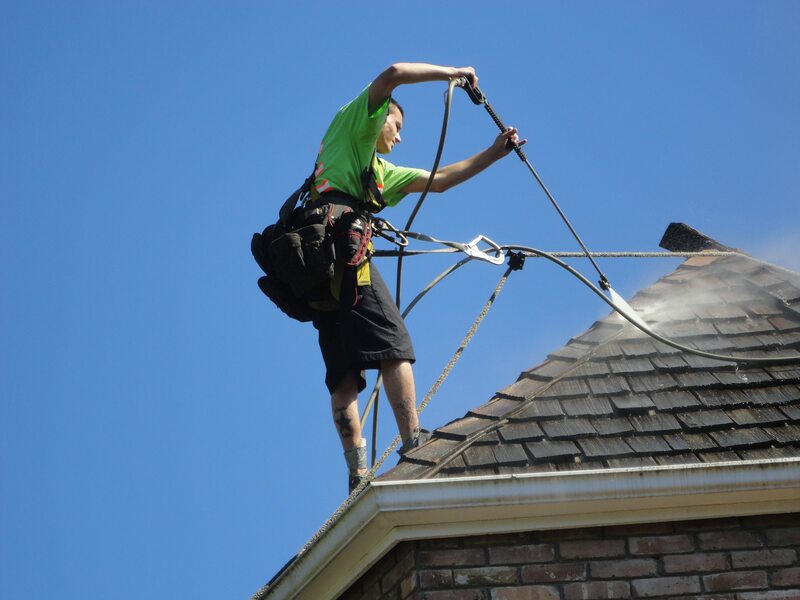 Roof restoration and cleaning makes sure you have a healthy and safe environment to live in. 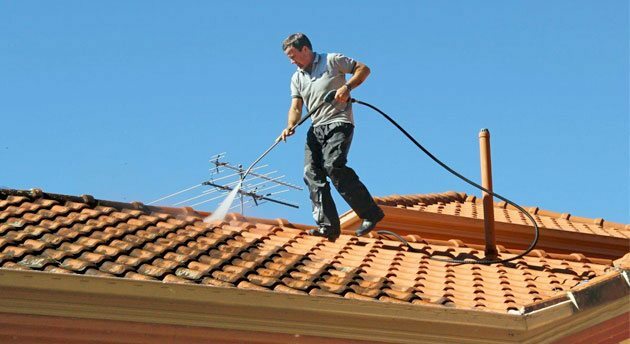 Thus, through low pressure or high pressure cleaning, you must contact a reputed pressure cleaning Adelaide company to take care of your roof. Maintaining your home doesn’t stop with the mandatory interior decoration or cleaning the floors, walls and furnishing items. Keeping the exterior of your home clean and goo looking is equally important, and this includes the basic roof restoration tactics, window washing, sweeping the walkways and many more. Amidst all these, we often tend to ignore the essential roof restoration gold coast Australia, which is highly essential , because due to the hot and humid temperature changes , rain and other adverse weather conditions, roof faces a lot of wear and tear and most importantly attacked by dirt and dust. Thus, instead of making roof the over looked area, it is time to take its cleaning process seriously. Not, this doesn’t mean that you have to take up a ladder and climb up to get started with the cleaning mechanism. Today, the roof restoration service providers are offering the best provisions to help you with the best results. After choosing such a company , make sure they will list you down with a number of procedures for cleaning and washing your roof. Thus, you should have a brief idea on the different types of roof cleaning mechanism. The roof cleaning and restoration companies today have been highly using the top-notch eco-friendly mechanisms to clan the roof. This excludes the use of chemicals like chlorine bleach, phosphates, or other toxic materials. Hence, natural ways are used to clean the roof tiles, which doesn’t damage the roof surface in the long run. The low pressure rinsing system is incorporated instead of the high pressure scrubbing or brushing. The instant and complete method makes sure the algae lichens and moss are completely wiped out from the roofs, and gives way to safe and smooth roof cleaning process. Thus, just make sure that the roof contractor offers timely roof stain prevention program for the most well-maintained roof. There are roof contractors who often use the high pressure cleaning methods to remove the roof stains. 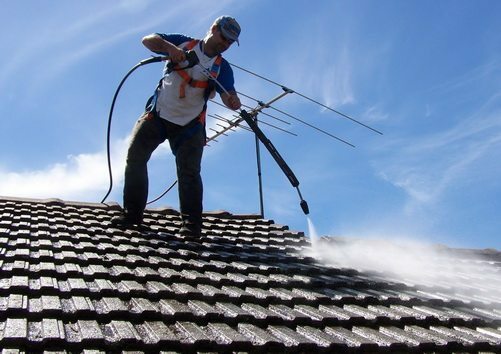 The leading high pressure cleaning Adelaide companies use them to add years to the health of your roof, and render a very bright and clean appearance. The pressure washers are used with high psi velocity to remove the moss, dirt , lichen and algae growing on the roof, and gutters are also cleaned, to conform on the overall cleanliness of the home. This gives a completely fresh and new look to the roof. The chemicals like chlorine bleach and trisodium phosphate are used in a blend to clean the roof, and these chemicals are fused in equal concentrations. These are sprayed and left to dry, again re-applied again and again until and unless the dirt is removed. Just make sure that the roof contractor doesn’t use any harsh and highly toxic chemicals . Doesn’t matter which method you are using, the roof restoration companies, after finishing their cleaning methods, inspect the roof tiles for cracks and damages which are common after strong washing procedure. If any tile or shingle is found broken, it should be replaced then and there. When the final cleaning or inspection is being done, the tiles are coated with high quality sealant , so that they are protected against the adverse climatic situations. Also, some of the companies and contractors use the bright and bold colors to make the roof look new. 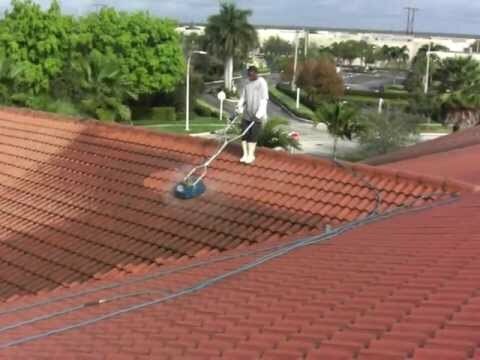 Why Hire Professional Pressure Cleaning Services for Your Roof? In the quest for saving a few hundred dollars, a lot of homeowners make the mistake of not properly maintaining their roof and end up paying thousands of dollars. Roof maintenance is important because it helps to extend the life of the roof and thus, save a lot of money in the long run. Cleaning the roof at proper intervals has the ability of preventing decay on the roof and that saves you from expensive repairs or total roof replacement. Roof cleaning not just ensures that your roof will last longer but the roof is also able to function at its optimal. A lot of people think that they can keep their roof clean with just a bucket of soap water. But that cannot be further away from the truth! Let us tell you why you need to hire a professional to clean your roof and give it more years. When it comes to working on top of a roof, safety should be the first thing on your mind. People, who are extremely eager to clean their own roof themselves, often put themselves in dangerous situations because they are inexperienced and ill-equipped. Avoid ending up at the hospital with a broken leg or worse, cracked skull by hiring a properly insured, professional roof cleaning company. Pressure cleaning Adelaide is a highly effective way of getting rid of mold, algae, grime and dirt and it uses pressurized water to spray them off. This is one of the best methods for metal or concrete roofs. Shingles might need a different method of cleaning. This is the reason why hiring a professional company is a great idea because the experts have years of experience in roof cleaning and knows exactly what method should be used and from where to procure the materials and equipment. There are multiple products available in the market but only the professionals know which ones are the best. Hiring high pressure cleaning services Adelaide, you would not only be saving a lot of precious time but also get better results. Even if you spend hours up on the roof, you might only be able to scrape or clean the top part whereas the roof cleaning experts work with cutting-edge equipment that helps speed up the process. Why take all the trouble standing under the sun and hurting your back for hours only to end up removing only the topmost coat of dirt on your roof? 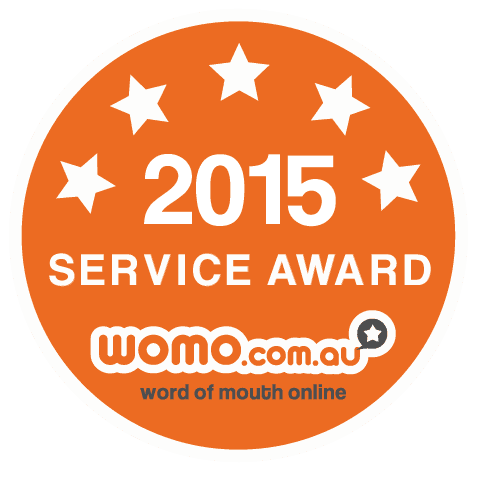 Let the professionals handle the dirty work and do it effectively by taking a lot less time!